Kevin McCloud brings self and custom build homes to the fore with his latest offering, Grand Designs: The Street. 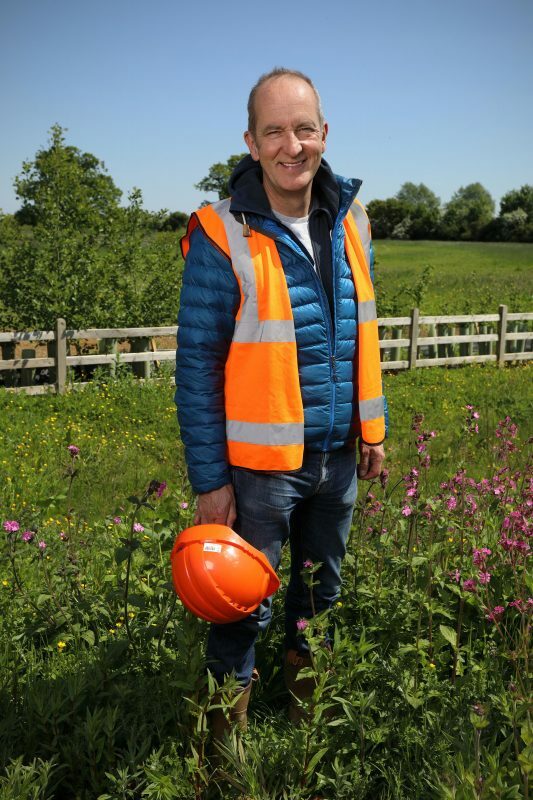 The programme follows the fortunes of 10 self-builders acting as the pioneers for Graven Hill in Oxfordshire, the largest custom and self build site in the UK. The 10 homes are delivered as self builds using a serviced-plot model. The site, on former Ministry of Defence land, was originally an initiative of Cherwell District Council, which used a special Local Development Order to pave the way for 1,900 homes delivered over ten years, with the majority delivered by the routes. The six-part series follows the pioneers, who have been building on the site over the last five years, and were the first to build at Graven Hill. Effectively the neighbours are creating a whole new street – which is arguably the future for many who want to self build, with serviced plots on multiple plot sites meaning that they’re building and ultimately living with like-minded neighbours. Where the serviced plots make this easier is some form of planning permission is already granted, the roads and services are put in and the wider landscaping is the job of the development company responsible for the whole site. This then frees the public up to design and build their house, either by custom build, where they work with a company that arranges all the work, or self build where they commission all the individual aspects themselves – and maybe even do a bit of the work on a DIY basis. The pioneers were lucky enough to scoop up their plots for around £100,000 each, with build costs estimated at around £250,000. However, as with all things Grand Designs, what people expected to build for, and what they actually spend after all the upgrades and issues are taken account of is often at odds. “These very different households all took a big risk but ultimately, I think they’ve been rewarded for this, with brilliant very individual homes and a great, wild-looking street – which is a sort-of test bed for self-build construction techniques which I think is just brilliant. No two homes are the same,” he says. Kevin got interested in the idea of self building on a large site after a NaCSBA-led trip to the Netherlands, to see Almere, a ground breaking self-build town, which was also the trip that inspired Cherwell District Council to first look into the idea of self building at scale. Graven Hill has more than just self and custom build homes, as it is piloting new and interesting routes to home owners, such as customised terraces, small entry-level homes (called Coach Houses) and community-led projects. This makes it a truly new and diverse way to approach housing, something that could be an exemplar for other local authorities to follow. 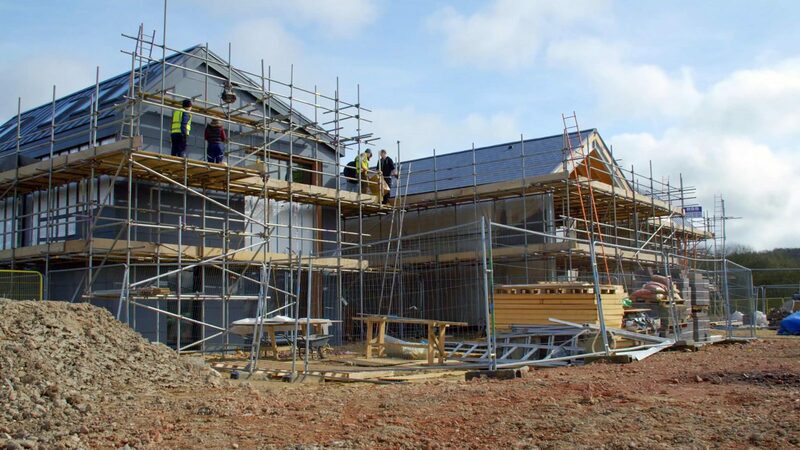 These come with some form of pre-approved planning, and the infrastructure (usually roads and pavements) and services put in – the three trickiest parts of any self-build. They are on multiple plot sites – this could be a small stand-alone development or as a small part of a larger site being built out by a developer. Also called shovel-ready, as essentially they are ready to build on. Planning maybe outline planning permission (OPP) – establishing the principle that building is acceptable – or full planning permission for a specific type of home. With OPP, some elements are fixed, such as maximum heights, positioning on the plot, or a material palette to choose from. This provides planners – and would-be neighbours – with reassurance about the look of the overall scheme. You then finish the process with your architect or designer, which is usually streamlined. With full planning permission, you may get a choice of house types that are approved, with options to customise your chosen design. A Plot Passport may be used to set out what can be built on an individual plot level. You can self build or custom build on a serviced plot. All custom building though is on serviced plots. Serviced plots create communities of like-minded people! Get more information about Custom Build here. Read Kevin’s interview about Grand Designs: The Street, here. Grand Designs: The Week airs Thursday 4 April, and will run up and into National Custom and Self Build Week.